What would be the best Linux version in 2011? Maybe that would help solve my problems. Although I mentioned using that approach above (using old Linux on old computer)... that is really NOT what you want to do. You want to use the latest up-to-date Linux (whatever distro) if at all possible for the best security, and usually the best hardware support. While an older Linux would still likely be safer to use than Windows XP, it is really a last resort option... which was where I was stuck on that old laptop. UEFI is usually the better choice if you have that option, but if you don't then it doesn't matter. A couple of distros that I would recommend (others may have different opinions on this) are Ubuntu 18.04.1 (MATE desktop) or Linux Mint 19 (again with MATE desktop). These are both the very latest releases and will be updated through April 2023. 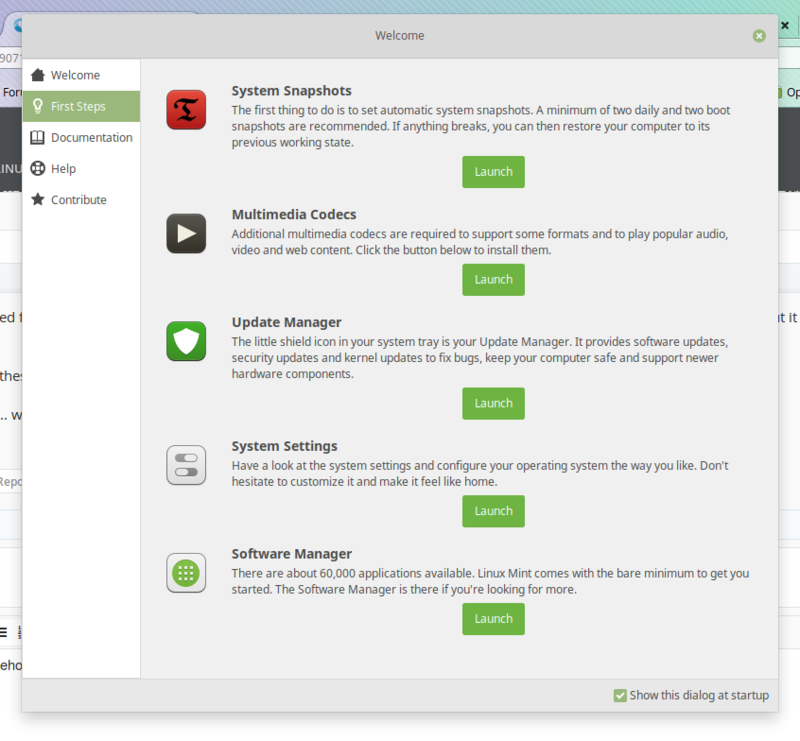 Mint has several different desktop editions, and Ubuntu has about 7 or 8 different desktops.... these are how you interact with the system, and each has some pros and cons. MATE has a fairly traditional look and feel, not all that much different from Windows, so you should be able to navigate it fairly easily. I also picked Ubuntu and Mint because of your expressed interest in running Steam games.... these two distros should give you about the easiest access to the Steam client as you will find anywhere in the Linux world. (Not that I'm saying it will be totally "easy" because I'm not a gamer and really know nothing of these things, except that they are available in the Software Managers.) Here's a pretty good (and current) article about Steam and other gaming options for Linux. Of the two distros, I like Mint best personally. It's what I use every day, except I have not upgraded to version 19 yet and still use 18.3 which Brian (@Condobloke) already recommended also. Ubuntu and Mint will also both work equally with with UEFI or BIOS systems. Condobloke and LeeRex like this. Thanks for the advice. I have a Mint19 .iso sitting in front of me. I'm starting the install now! I think I'll have to understand that there's a learning curve to all of this. In other words, I'll just have to "deal with it". Yikes! Well, if you go a bit slower, we can direct you to some websites with step-by-step directions that might help guide you. The tricky part is the partitioning section. You may have created an empty partition with Windows to get ready for Linux, but that is not necessary.... the Linux Mint installer will easily split the partitions also. So, let's see what happens. If you're already into it, then we'll just see how you do. You may do fine on your own this time. If you haven't taken the plunge, let us know and I'll send a few links for you to review. Oh, sorry,,,,I'm going with Virtualbox for now. My earlier posts may have been a bit misleading. I can always delete everything with just a few keystrokes and start over. Ah, okay! That's the beauty of VirtualBox... easy to delete and start over. You can delete and do-over on your hard drive too, but we always want folks to be careful so not to destroy their Windows... unless they want to! Have you got it going yet? Or have any questions? So far all is well...should I do all the steps in "First Steps"? Oh, isn't that nice looking! I don't know what's in the "First Steps".... but take a read through and see if anything strikes your fancy or brings up any specific questions to ask. And it should respond as "active." No need for special settings with the firewall usually unless you have some special needs... it lets everything you do go out, but it doesn't let anything on the web come in. Check that Mint has Internet access, but these things usually work right away. Any other questions that come to mind.... we'll try to help. You said it was freezing up before, so that is something to watch for. Condobloke, LeeRex and wizardfromoz like this. Sorry Wiz, but your last message seems to be garbled on my end. I've lost the thread. Condobloke, LeeRex and atanere like this. Is that so, Lee? Mine is from LMDE (Linux Mint Debian Edition) 3 'Betsy' Cinnamon DE, where I am currently, but likely the same. On Timeshift, whenever you run Update Manager, you will get a nag message to do something, that is new to LM 19, 18.3 where Timeshift was introduced did not do that. It can be disabled, ask if you want to. I do purely "On Demand" screenshots, so I disable mine. Not heard any reports like that before! How you doing there, Lee? Better now? Yeah, all is well. Installed firewall per your instructions. Just playing around now. I'll be clicking on tutorials for a while as I try to get comfortable with the new system. I think this will be easier if I consider it a hobby instead of something mandatory. More fun that way. How do I expand to full screen? My eyesight isn't what it once was. It looks to me that Virtualbox is just a temporary playground. A place to get familiar with the system but not to be used permanently. So I hesitate to make too many changes lest I have to do it all over again when I expand to a partition. More "curiosities" to come but I'm good for now. You should see some Menu items along the top... look in the "View" menu. The "Host key" (usually the RIGHT CONTROL key) can be used in combination with some other keys to adjust the screen size, which you can see in the menus. Fiddle around with Full Screen (Host+F), Scaled Mode (Host+C), and Adjust Window Size (Host+A) -- this one lets you drag the window corners to set a size that you like that is less than full screen. It looks to me that Virtualbox is just a temporary playground. Yes, that's pretty much true. It's a great way to try out new distros without committing to them, but you would eventually find that the hard drive is probably too small to be used permanently. And the full install will gain you access to all of the system RAM, so that is a major enhancement to make the move when you settle on which distro you want. The "curiosities" have only just begun! But you don't have to become a "master"... just getting a handle on the basics and being happy with everyday usage is a pretty good objective. Yes, it gives me a chance to audition other disros, but which ones? I like intuitive, beautiful interfaces and speed. Complexity, not so much! Certainly some are relevant for today but which ones are relics? Or are they ALL relevant. They're all a bit different. Some you might like, some you may well hate. If you hit the bad ones first, they can really taint your impressions of Linux. And not that they're really bad... just different. Other people may love the same ones that you hate... it helps the world go 'round. I don't think you said which Mint 19 you got: MATE, Cinnamon, or XFCE. Each are fairly "traditional" (which I think is what you want) but they each have their own appearance. But you might try each of them to see what you think. Cinnamon is probably the most popular, but it also seems to sometimes have the most trouble with some user's hardware (mostly graphic/video related). If you try the "standard" Ubuntu Linux, you will get the Gnome desktop. This is one of those that you'll probably either love or hate. I'm not a fan myself, at all. But Ubuntu is a rock-solid distro and there are 6 or 7 other desktop options besides that standard edition. They have a MATE desktop, similar to that used by Mint. They have XUBUNTU, which is the XFCE desktop, also like Mint. They have a lower resource desktop called LUBUNTU (based on either LXDE or LXQt desktop). Another is called KUBUNTU for KDE, the "K Desktop Environment"... it is rather bloated, but you have the system resources that it would likely run okay for you. KDE is very configurable and also offers a lot of "eye candy" (blinking cursors, wobbly windows, and other visual effects... I'm not crazy about these, but some folks like them). Yes, you see a lot of initials and acronyms... no need to learn them all, or not all at once. It can be overwhelming in the beginning, but these things are some of what gives you so many options.... options that you generally don't find in "that other operating system." A few others that I like are Linux Lite, Peppermint OS, Debian, Zorin, and PCLinuxOS. Other folks here will be happy to suggest some others to you also. But you may get tired if you try too many.... so don't be in a rush. Whatever you try, explore it awhile and try to note some of the differences that you see between them. You'll probably rule some of them out quickly, which is fine too. Hard to tell you how much I appreciate all this advice you guys have given me. I really enjoy jumping into new things so I feel that I am rapidly gathering a good pace. Truth-be-told, I am a bit impatient in almost anything I do. Here's my usual strategy: First, I find an interest, then play around with it, then get pissed off when I hit a wall, then take a short break and rest, then return with determination. My questions then get fewer as I understand more and, eventually, I am comfortable. I am not always a patient person. things slowly". So you are likely to see me jump to the partition strategy fairly soon, then regret it, then calm down, then come back stronger. But we all have our own ways of doing things, don't we? But I do have a practical question: Is there any way to avoid having to enter my password so frequently. Linux had me enter my password when I installed it, so why so often after that? Ah, I see we're gonna get along just fine! You hammer away however much you like, and we will tag-team each other to keep you in your place! The password is one of the key things that makes Linux safer. Windows tried to copy the idea with UAC (User Account Control)... but they made it even more annoying in Vista, though somewhat improved in Win 7. Still, people ignore the warning when installing software.... just clicking OK and moving on without realizing the potential threat. Hopefully, when Linux calls on you to enter your password.... you will think about why it is requiring it. It needs the password to make system-level changes, like installing or upgrading your software or the operating system itself. These things should go smoothly and as expected, but you should always be wary and be sure that Linux is responding to your actions.... not something popping up out of the blue wanting your password (which I've never seen, by the way). The Windows UAC would also be more effective if more people paid attention to it... when it asks, "Is it okay with you if I install this virus now?" So with Linux, you are just a simple user almost all the time. With Windows, the main user is always an Administrator, which is not a good idea, even with UAC. The Linux password is a temporary authorization with Administrator privileges. Oh, here's another new term: in Linux the Administrator is called "root". This is sometimes confusing because the top level of the Linux filesystem is also called the "root of the drive or partition".... and in this case it is represented as a "/" character. So the "root" of the drive, /, is kind of equivalent to C:\ in Windows. Or if you need to provide admin access, you temporarily "become root". Clear as mud? We'll go into this further... it usually doesn't sink in quite right the first time through. We'll have to cover how to identify hard drives and partitions too.... Windows and Linux are very different in that regard too, but this will come up during installation.... you may have caught some of it even with VirtualBox also. You can run your system as root all the time, but we highly, HIGHLY discourage that. It makes you much more vulnerable to malware or bad actors on the internet trying to pry into your computer. But also, there is not a lot of malware out there on Linux, but there is some, so you still have to be careful about that (the firewall helps a lot). However, there are practically no true viruses that you might get with Linux, so that alone makes Linux a very different world from Windows. I hope that answered the password question okay, but if not.... keep 'em coming. We'll dig deeper as needed. Just what you want/need more links to read. A useful site or has always been for me. atanere, Condobloke, LeeRex and 1 other person like this. Point of protocol first, not critical ... I don't do critical. @LeeRex - Lee, you may be clicking reply beside the Like thumb up. That duplicates our Posts to you, which may be unnecessary. Don't lose track of where the Like button is though for using when I post something - I have Stan well-trained, he probably accounts for a half of mine. Big likes to all of the above. I am going to address this in a little detail, shortly. I just have to switch Distros and versions (and grab a beer) and I'll be back, lol. Hi poorguy, nice to see your smiling dial, and like the links. atanere, Condobloke and LeeRex like this.